Did you know you can download a specific set of docs as a PDF without it taking gigabytes of space, enabling you to take it anywhere with you on your desktop or mobile device. 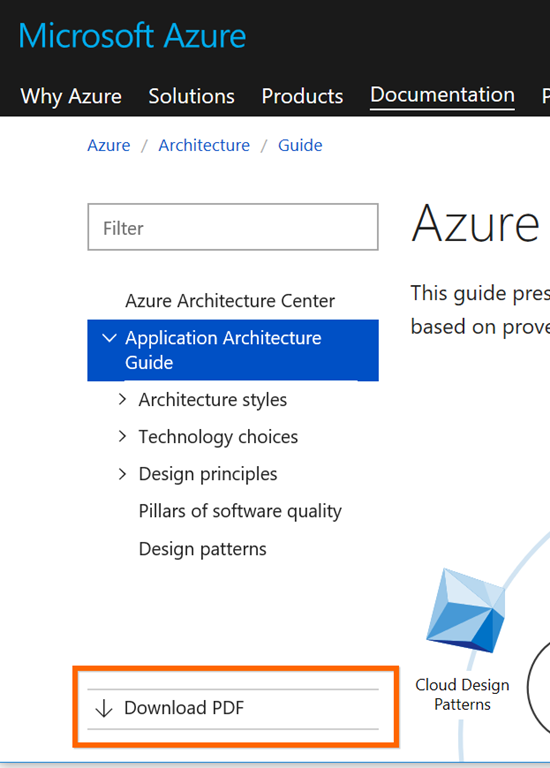 Simply go to the particular docs you’re interested in, for example the Azure Application Architecture Guide and then below table of contents on the left side you will see a Download PDF button. 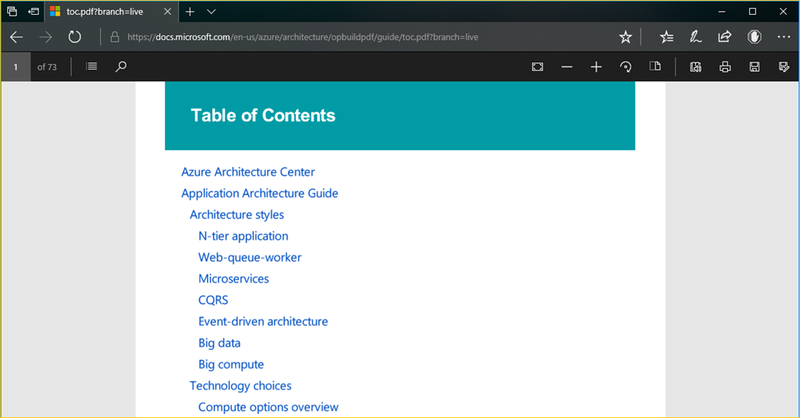 Clicking the Download PDF button will open up the latest version of the docs for this topic in a browser and from here you can click to save. As you can see it downloaded a 73 page PDF document with all the content found online. As content is changed online, clicking the Download PDF will result in getting the latest version of this document. 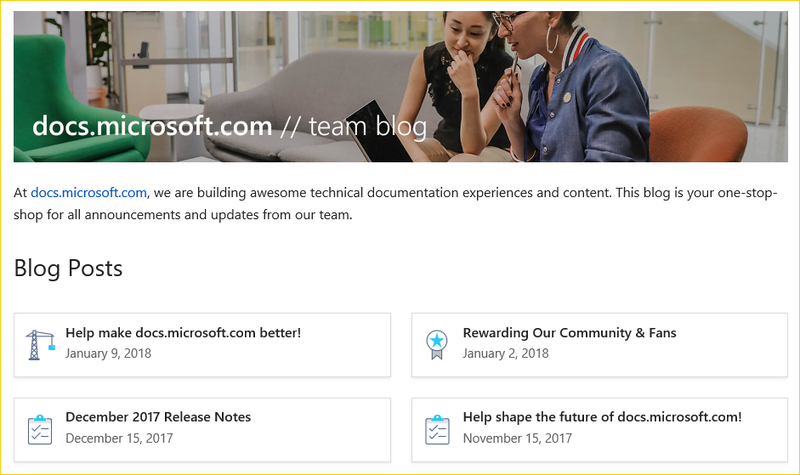 To follow up and learn about other updates to the Microsoft Docs site, follow their blog at https://docs.microsoft.com/en-us/teamblog/.